We are obviously expecting great news from Computex and it has not been too long since we have already received something from Acer as they have launched their first fablet which will initially go to European countries and then travel to the Asian countries nothing has been said about its launch in United States. Let us talk about the specifications and features it carries in detail. The display size is of 5.7 inches, which something close to Samsung Galaxy Mega steps ahead of all the phones released in their Note Series. The resolution is of 720p which will be quite disappointing for the users as on such a huge screen 720p resolution will mean a very less value of PPI which actually states the clarity of the display of the smartphone. The processor used on this phablet is by Mediatek and this has been clocked at the frequency of 1.5GHz so this means that they have used the new Turbo processor which we have seen in Umi X2 Turbo and the Tianhe H920+. The exact model number of this processor is MT6589T which has got quad cores and this is better than MTK6589 which is clocked at the frequency of 1.2GHz. The primary camera of this phone is 8MP with BSI sensor and LED Flash support for the images in low light scenario and we have VGA camera in the front as the secondary camera on the device. The battery strength of this device is 2400mAh which may disappoint the users with its battery backup because of its such a large screen but then it does not have Full HD display so it might provide you the talk time of around 5 hours on 3G. Now when talking about the memory allocation on this smartphone then we have 8GB for the internal storage and this can be extended with the help of external memory card slot and you also have 1GB RAM for the fluent processing. 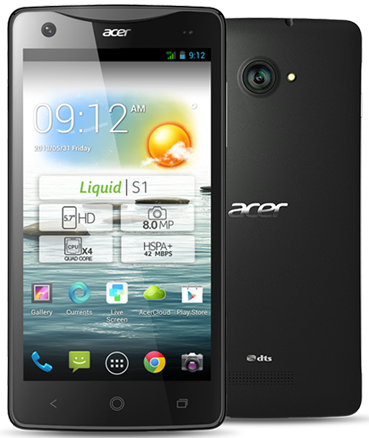 It is a Dual SIM device which supports 3G on both the SIM slots and operated on Android v4.2 Jelly Bean. The phone has been launched at the price of 349 Euros in the European countries and sooner it will be available in Asia and then other parts of the world and as per mentioned price we may expect this to compete head-on with Samsung Galaxy Mega 5.8 as both the products are priced near 25,000 INR.